Join us for the West End Tour of Homes 2019 and an evening stroll through the most up and coming neighborhood in town Atlanta. 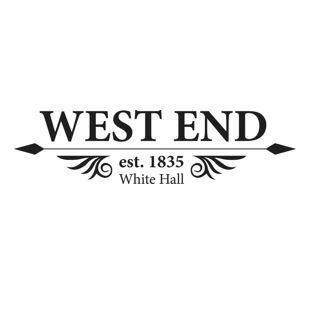 Let us show you why the West End is the Best End on June 22, 2019, 5:00 pm to 10:00 pm. 10 homes are featured in this one night only event. TICKETS $25 each ON SALE Here and at The Wren’s Nest (1050 Ralph David Abernathy Blvd.) the day of the Tour of Homes. The tour is a self-guided walking/driving tour. Atlanta, Georgia, June 22, 2019: Originally founded as White Hall Tavern in 1835, West End is a vibrant and diverse neighborhood located at the epicenter of Atlanta’s revival! Historically home to some of Atlanta’s most prominent residents, West End has seen an influx of homebuyers who are attracted to the neighborhood’s large Victorian and Craftsman style homes, such as the Wren’s Nest, the former home of noted journalist and author Joel Chandler Harris of Uncle Remus fame. Located on mile marker zero of the Atlanta Beltline Westside Trail, West End boasts some of the city’s most vibrant parks and is a major player in Atlanta’s arts and entertainment scene affectionately being dubbed by its residents as the “Blocks of Culture”. West End is steadily gaining interest from young professionals and families after being named the 2015 “Neighborhood of the Year” by national real estate publication, Curbed, which has over 6MM unique visitors and is the #1 website for affluent urbanites. Real estate giant, Redfin Atlanta, named West End as the #1 hottest neighborhood in Atlanta, 2016. West End is truly the Best End of ATL.